Writing a book, designing your own graphics or painting an original picture are all artistic endeavors that can easily turn into financial goldmines. Beautiful artwork, interesting literature and generally any good idea can earn the innovator good money if it becomes popular. But thieves are aplenty as well. Plagiarism, both voluntary and involuntary, is frequent online and offline. It is common for less-inspired people to lift original work indiscriminately from original artists and then try to pass it off as their own. For many years, such thefts went unnoticed but now copyright laws have come into force. Currently, original works are copyrighted automatically, as soon as they are created or crafted. 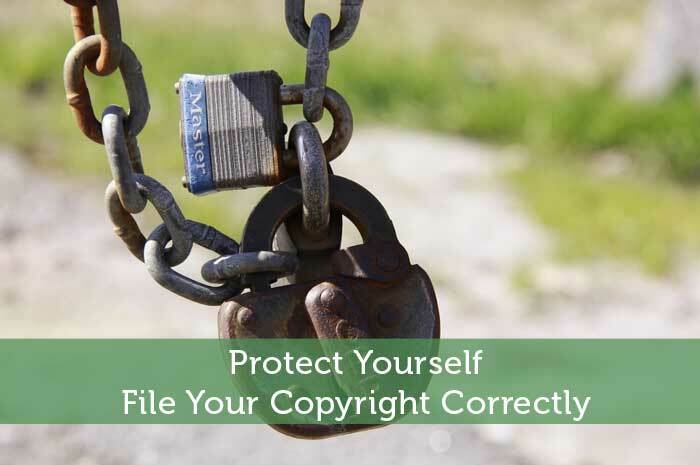 Creators also have an additional option of legally covering and protecting their work through formal copyright registration. Use the original work to create derivative work for commercial or private use. Reproduce the original work with replicas and copies for sale to the public for profit and carry out a commercial sale, or rent, of copies and imitations of the original. Perform dramatic or musical work in public venues. The owner is the only one allowed to use the work for commercial profits. Copyright law is intended to protect the owner and the work from illegal exploitation, but these rights are not unlimited. For example, some works are not protected under copyright law and they include unwritten ideas, names, titles and popular slogans. Also not protected are lists of items, common property items like a calendar format, and familiar signs and symbols already in public use. Copyright law also limits the work to the author for a set period of time and then releases the work to the public as common property. For example, the original works of Shakespeare are now common property as their copyright protection has terminated. As already stated, all work is immediately copyrighted to the original writer or creator as soon as it’s created. However, to ensure legality of ownership, copyrighting the work is necessary. If you want to copyright your work, this step-by-step guide will prove helpful. Step #1: To copyright your work you can apply online or mail in paper applications. For both types of application, you will have to submit three things: a completed application form, a non-refundable application fee and a non-returnable deposit for the work being copyrighted. This usually involves one copy for unpublished work and two copies for published work. Forms for online applications are available at the electronic Copyright Office (eCO) website, www.copyright.gov. To ensure that your form is accepted, make sure you download the form or photocopy it onto 8 ½” x 11″ white paper. If your form is illegible or if it does not meet these requirements, there is a very good chance that your registration will be delayed or cancelled. Step #3: The Copyright Office will receive your application and the appropriate staff member will review your application. Please note that the Copyright Office receives more than 6,000 copyright applications each day. However, your registration request becomes effective on the day the office receives your package. Step #4: The Financial Department of the Copyright Office will process your payment and send you an acknowledgement of payment. Step #5: The Copyright Office will examine your application and make sure that the documents are acceptable. Please note that certain types of documents require verification and this may make time. The Office will also check the work to ensure that it meets copyright laws and regulations. At this stage, you may also get a letter, email or telephone call from the Copyright Office. This is in case the staff member in charge of your application requires clarification or additional information. In case the application is rejected, the Copyright Office will send you a letter explaining the rejection. If the document is accepted for registration, a certificate of registration is produced and it is then mailed to you. This entire process usually takes anywhere from one to four months. Step #6: For special cases, a pre-registration is also possible. Pre-registration is possible for works that have a higher chance of being copied before release. To be eligible for this, the work should be unpublished and it must be under production for commercial release. As a rule, almost all work created after January 1, 1978, is copyright protected during the entire lifetime of the author and for an extra 70 years after the author’s death. For anonymous work, work for hire and pseudonymous work, the term is 95 years and a total of 120 years from the year of creation. For works created before 1978, you can check with Chapter 3 of the Copyright Act. Works created on or after January 1, 1978, do not require re-registration but works prior to that date have specific registration requirements. It’s worth noting that many publishers will register your book with the Copyright Office on your behalf, at their expense. Not all do, though, so that’s something you should always ask about during your negotiations before signing a publication agreement. Great information here. I’d also suggest picking up a used legal book from amazon or something if you’re still having questions. Lots of great, albeit dense, info there.